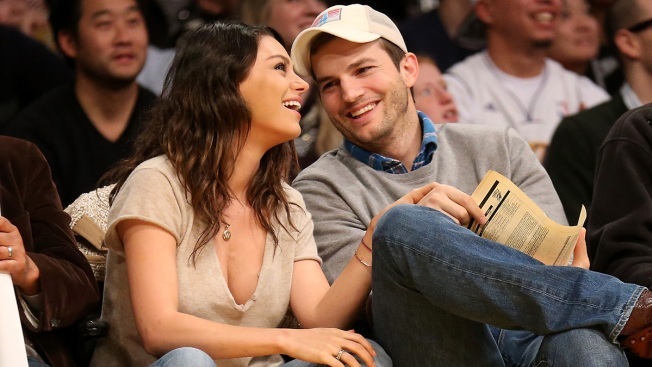 Actors Ashton Kutcher and Mila Kunis starred in "That '70s Show" together and married in 2015. Ashton Kutcher had a quick explanation after a tabloid questioned why he was seen out and about with a mystery woman recently: She was his cousin. Kutcher on Sunday responded to a Star magazine article headlined, "Hey Ashton! Who's the girl?" The article included pictures of Kutcher and a woman entering a private jet and noted it wasn't his wife, Mila Kunis. Kutcher posted a picture of the article on Twitter and added: "You should have heard how upset Mila was that I spent the day with our cousin." He also apologized to his aunt, saying, "These magazines lack integrity." A representative for American Media, which owns Star, didn't immediately return a request for comment. Kutcher and Kunis have two children together. They married in 2015.